Science takes pride in being apolitical but a look at the recent trend of Nobel Prize recipients suggests otherwise. Especially in traditional sciences, laureates are likely to be white men in their sixties. The reason for this shift in age and the skewed gender ratio of laureates is multifaceted but needs to be addressed. 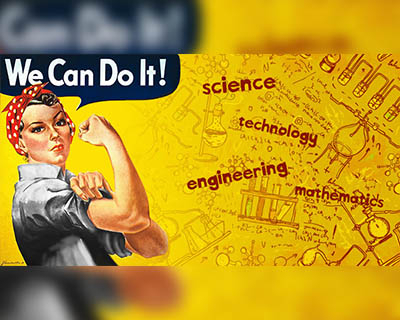 Scientists and non-scientists need to direct their efforts towards eliminating gender bias. What appears to be a pattern among Nobel Prize recipients? 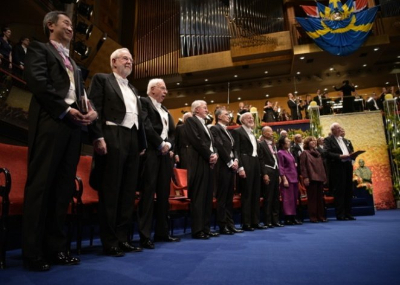 Since 1950’s, Nobel Prize winners in the traditional sciences are, in general, male, senior citizens. The long waiting period for breakthroughs to be recognized was not required in the earlier half of the twentieth century – the average age of laureates was 56, and for Physics Laureates, it was 47; now it’s the late sixties. One factor attributed to the “trend of aging laureates” in Physics is the increase in the number physicists from around 1000 in the earlier part of the twentieth century to around a million now. As achievements become common among younger physicists, the gap between doing something spectacular and being recognized for it is widening. But this still doesn’t explain why laureates in medicine, economics and literature remain younger. A group of scientists analyzed this trend and noted the increased frequency of longer waits for the Prize across all three branches of science. In an article on this topic, they showed the wait to have gotten longer with time, and the rate of delay increased faster than a linear rate, in each field.This trend of waiting for more than 20 years has become common in all three categories of science but is most noticeable in Physics. Also, the vastness and depth of knowledge means that scientists need a longer time to scale the heights required before they create or discover something on their own. 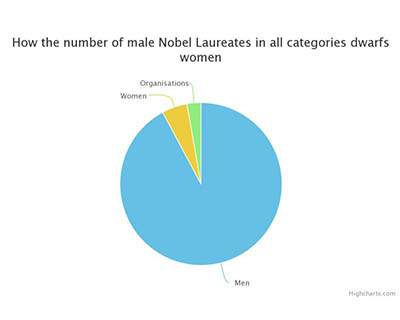 Another trend which one cannot help noting is the highly skewed ratio of male to female laureates, with male scientists bagging way more Nobels than their female counterparts.This pattern of course, has recurred since the Nobel was instituted. Why does the current gender bias give hope and despair? The situation has improved over time but women laureates are still a very small percentage, not only in traditional sciences but other spheres as well. One explanation for fewer women laureates points to the waiting period.Laureates are now recognized for discoveries made at a time when there were very few women in science, especially physics. As women are slowly making inroads in physics, there is reason to hope the gender gap will shorten with time. But if lesser representation is a reason, it means women achievers should be duly recognized, it becomes all the more important to do so. But this has not happened.One frequently cited example is Vera Rubin. Born in 1928, she discovered in the 70s, the strongest evidence up to that time for the existence of dark matter. Many scientists and non-scientists have called for Nobel Committees to award her the Nobel, but so far the Prize eludes her. More women have received Nobel Prizes over the 20th century and into the 21st. The records show only 4 women laureates in first twenty years of the twentieth century. And for every twenty years after that there were only 5 recipients till 1980.In the last twenty years, the number reached 11 and from 2000-2015 rose to 19. But still the percentage of women laureates in the traditional sciences in this period is abysmally low (5.71 percent in medicine, 2.33 percent in chemistry, and 1 percent in Physics). Even in categories like Literature and Peace, women have barely crossed the double digit (12.50 percent for Literature and 12.40 percent for Peace). As lists of old nominations are released (nominations are kept a secret for 50 years), it is clear women have been nominated for Nobel Prizes, though in small number. But, like in the case of physicist Lise Meitner, the number of misses is alarming. Meitner was nominated at least 48 times by different people for Chemistry and Physics prizes between 1937 and 1965. She died in 1968 without receiving the Nobel. 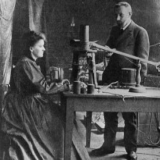 The Nobel Museum says records do not indicate any evidence of gender bias.Even so, Marie Curie, arguably the greatest female scientist ever, was awarded the Nobel Prize for Physics only after her husband protested against the Committee leaving out her name. When one of the most esteemed scientists suffered this discrimination, it is very unlikely other women scientists have not. 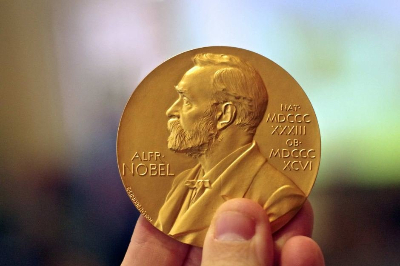 Facts: As of 2015, Nobel Prizes have been awarded to 822 men, 48 women, and 26 organizations. 16 women have won the Nobel Peace Prize, 14 have won the Nobel Prize in Literature, 12 have won the Nobel Prize in Physiology or Medicine, 4 have won the Nobel Prize in Chemistry, only 2 have won the Nobel Prize in Physics (Marie Curie in 1903 and Maria Mayer in 1963) and only one, Elinor Ostrom, has won the Nobel Memorial Prize in Economic Sciences.Curie is also the only woman to have won multiple Nobel Prizes; in 1911, she won the Nobel Prize in Chemistry. Curie's daughter, Irène Joliot-Curie, won the Nobel Prize in Chemistry in 1935, making the two the only mother-daughter pair to have won Nobel Prizes.The most Nobel Prizes awarded to women in a single year was in 2009, when five women became laureates. The most recent women to be awarded a Nobel Prize were Tu Youyou for Medicine and Svetlana Alexievich for Literature (2015). When, in the twentieth century, has there been an exception? 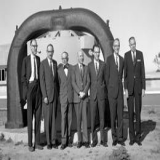 When quantum mechanics took the academic world by storm in the early twentieth century, it also provided several young achievers in the field to be recognized soon enough by the Nobel Committee. In 1923, the proportion of physicists who achieved breakthroughs by the age of 30 was at its highest – 31 percent. A whopping 78 percent had reached the peak of their scientific careers by age 40. Quantum mechanics, being a new field set off a revolution. Another explanation for aged Laureates was the experimental work necessary to achieve a breakthrough was better done by elders who had aggregated knowledge. The quantum mechanics revolution required starting from scratch. This was the forte of the youngsters. As researchers explain through the anomaly of quantum mechanics, “New ideas sometimes serve as revolutions and revolutions favor the young”. Thus, “If there are future revolutions out there, it may make winners younger yet again”. 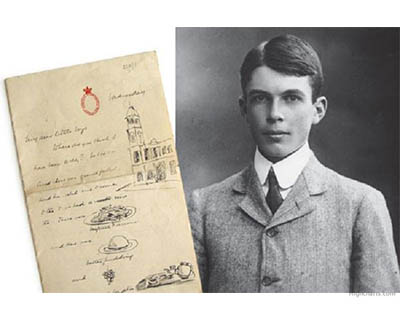 Note: William Lawrence Bragg was, until October 2014 (when his record was surpassed by Malala Yousafzai at the age of 17), the youngest ever Nobel laureate; he won the prize in 1915 at the age of 25. He still remains the youngest Nobel laureate in science. He won the award along with his father for "for their services in the analysis of crystal structure by means of X-rays". Where are the problems in the “aged laureate” pattern? 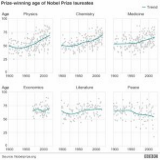 In addition to delay between the discovery and the award, scientists have also been observed to make their discovery or achieve the breakthrough that wins the Nobel at a later age than before.This seems to follow the observation that laureates receive their PhD later than they did before. While they start at a later age, it has also been observed that they end their careers at the same time as their predecessors did. Researchers say this means the greatest of our minds are productive for a shorter period of time and their work yields lesser. Researchers are worried this could result in the stagnation of technological advancement. Though life expectancies have increased, there is a possibility that some potential laureates may die without receiving the Nobel Prize (it is not awarded posthumously) and their contribution may not get the recognition it deserves. A group of scientists who authored an article on the aging pattern said physicists are at a greater risk due to this trend. As there is a marked difference between physics and medicine, the possibility that there is an increased slowdown in progress when it comes to the field of physics. The explanation of increased time delay has notable exceptions that are worrying.The discovery of graphene and the acceleration and expansion properties of the universe are examples. These counter the somewhat comfortable explanation of having to wait for long and pitch the alternative one – there have been fewer worthwhile discoveries of late. 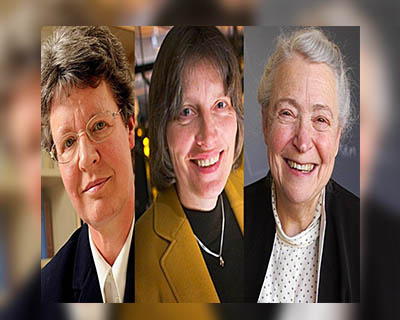 Who are some of the potential women laureates in Physics and Chemistry? Though the gender gap exists in all Nobel Prize fields, it is at its worst in Physics and then Chemistry. In these fields there are several deserving women candidates. A few are shortlisted below. Jocelyn Bell Burner’s primary contribution as a graduate student led to the discovery of the pulsar. It was she who found and recognized the evidence for the pulsar’s existence.The discovery was recognized by the Nobel Committee but the prize went to her adviser Antony Hewish and colleague Martin Ryle in 1974. Mildred Dresselhaus is known to have fuelled researchers to take an active interest in the applications of carbon. She predicted it could be used to form nanotubes whose nature of conductivity changed depending on how they were rolled. Her research heralded the two discoveries which won Nobel Prizes. In 1999 Lene Hau slowed light in stages and even stopped it along with her colleagues. She and her team in later experiments trapped light, transferred information stored in it to matter and reversed the process. This would be a breakthrough for future quantum computing and cryptography applications to build on. Deborah Jin and her team in 2003 created fermionic condensates. Apart from being a stupendous technical breakthrough, they provided a new way to study superconductivity and enigmatic aspects of electricity. 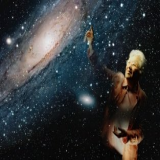 Vera Rubin and her colleague Kent Ford’s work on galactic rotation speeds formed a strong and sustaining basis for proof that yet to be seen dark matter constitutes around 85 percent of the Universe. Several scientists in the field have acknowledged her role and question why she has not received a Nobel Prize. These women’s achievements were widely noted and acknowledged through other prestigious awards.By all standards, they deserve the Nobel Prize but luck or gender has not favored them so far. How can these biases be overcome? As far as the age bias is concerned, the explanations for starting late and a long waiting period seem reasonable.These imply the need for the next scientific revolution and a gateway for young achievers. Another reason given is that budding scientists are just not allowed to access the expensive equipment which has now become an essential part of research. This factor needs to be probed and discussed. As for gender bias, studies have definitively shown science professors to consider women students as less competent than men. Implicit or explicit, this unfair bias – that women performed as well as men and are yet not given the same importance – damages progress.Job and mentorship opportunities become less available, and women find it more difficult to obtain grants and access to resources. When this vital environment is not provided to women, there is less chance, even of them entering their chosen field of research. Every possible effort and beyond should be made to minimize and eliminate these biases at the graduate level. Positive findings of research on gender bias in the US scientific committee suggest identifying the bias as a concrete step forward. It was observed that tapping the scientist’s innate need to remain unbiased could yield effective results. Giving examples and presenting study results without stoking feelings of guilt seemed to motivate scientists to consciously make an effort to reducing their unconscious biases. Voices repeatedly call out for the need to draw more women into STEM fields (science, technology, engineering, and math).Merely having more women join science streams is not enough. The environment should facilitate them to have equal opportunities to scale the academic ladder. Studies need to widen beyond Europe and the US, and focus on what hampers women in Asia, Africa and other parts of the world from achieving the recognition their male counterparts get for scientific achievements. Increased transparency in the evaluation and decision process – whether in evaluating research papers or evaluating the candidate’s worth as a Nobel Prize nominee or recipient – will give a clearer understanding of how these systems work. This makes it easier to identify innate flaws and reduce all types of discrimination. Cultural change takes different forms across countries and curricula but is extremely crucial to bring about substantial progress. Another suggestion put forth to recognize a diverse, collaborative contribution – as most contributions receiving Physics Nobel Prize are – is to award it to the team instead of one to three individuals. People – scientists and non-scientists - have actively called for the Nobel Committee to recognize of Vera Rubin’s achievement by awarding her the Nobel Prize. 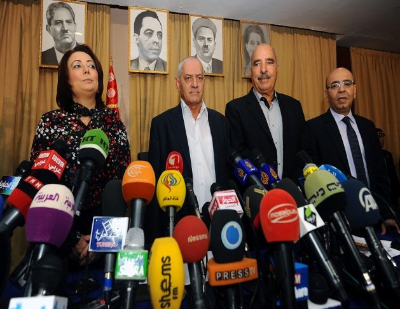 They have also taken to social media to voice the need for urgency on this front. Such initiatives, whether futile or not, are heartening, and should continue till there is sufficient momentum for positive change. prof premraj pushpakaran (male) writes -- 2018 marks the 100th birth year of Martin Ryle!! !